The parson styled chair is always a classic choice. The chair can go with any style and is easy to mix and match with other chairs. The solid fabric becomes a neutral that makes it easy to change other décor throughout the seasons. 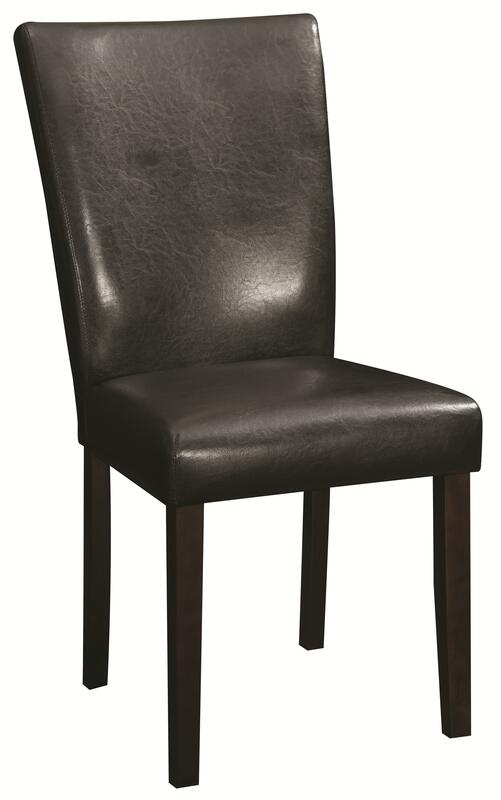 The Accent Seating Parson Side Chair by Rooms Collection Two at Rooms Furniture in the Houston, Sugar Land, Katy, Missouri City, Texas area. Product availability may vary. Contact us for the most current availability on this product.